Treadmills provide opportunities for people who want to walk or jog without having to venture outdoors or sign up for a gym. With treadmills, you can do your exercise in the comfort of your own home whenever you want. While walking and jogging is available to people of all ages and body types, however, not all treadmills can accommodate everyone, especially those who are on the heavy side. Fortunately, finding the best treadmill for heavy people might be easier than you think. How Much Should You Pay For A Treadmill? Here is a list of our top five picks to guide you in choosing the right treadmill for you. This treadmill has the lowest price range in this list, only less than $1000, but it has the highest weight limit, which is 400 lbs. It may not have the frills that more expensive treadmills usually have, but it does offer basic features such as an LCD screen and pulse monitors. The LifeSpan TR1200i’s most unique feature is its automatic pause safety system which might prove useful for those who have little kids at home. However, the big plus for this treadmill is its lifetime warranty, considering that it’s only under $1000. The Bowflex TreadClimber combines the functions of a treadmill, stair climber, and elliptical. If you want to lose weight fast or if you’re just looking for a more exciting workout, then this might be the treadmill for you. This treadmill does not mince words when it says it has several features. Apart from its built-in sound system, cooling fan, and 18 exercise settings, it also has a heavy-duty motor, a very spacious deck, and an exclusive cushioning system built to handle large people. The Sole Fitness F80’s design and features are really built for heavy people. Aside from its 375 lbs. weight capacity and a large deck, it offers a powerful 3.5 CHP motor and a long-lasting tread belt, and that’s just the tip of the iceberg. We will start with the most affordable treadmill. 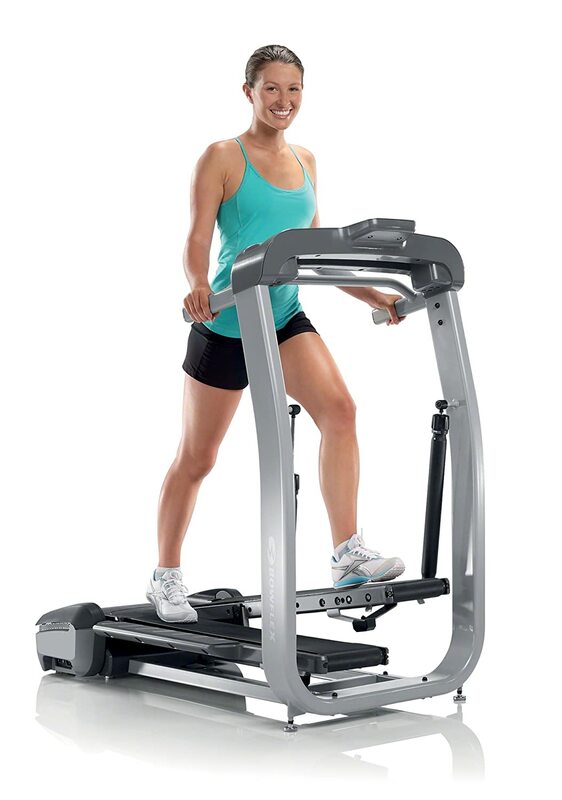 For less than $500, the Exerpeutic High Capacity Treadmill features a 1.5 horsepower and a motor that can reach 4mph. It has a weight capacity of 400 lbs and a deck size of 40 x 20 inches, which are good dimensions for its price. It is also foldable so you could save space after using. However, it has a manual incline unlike most motorized treadmills. The good news is that this treadmill is considerably lighter, weighing only 120 lbs., so you won’t have to worry about folding or adjusting the incline. Other features include an LCD monitor, heart pulse pads, extra-long safety handles, and a “Quiet Drive” feature to make sure your machine is running noiselessly in the background. The only caveat would be the warranty, which only covers 5 years for the motor, 1 year for the frame, and 90 days for the parts. 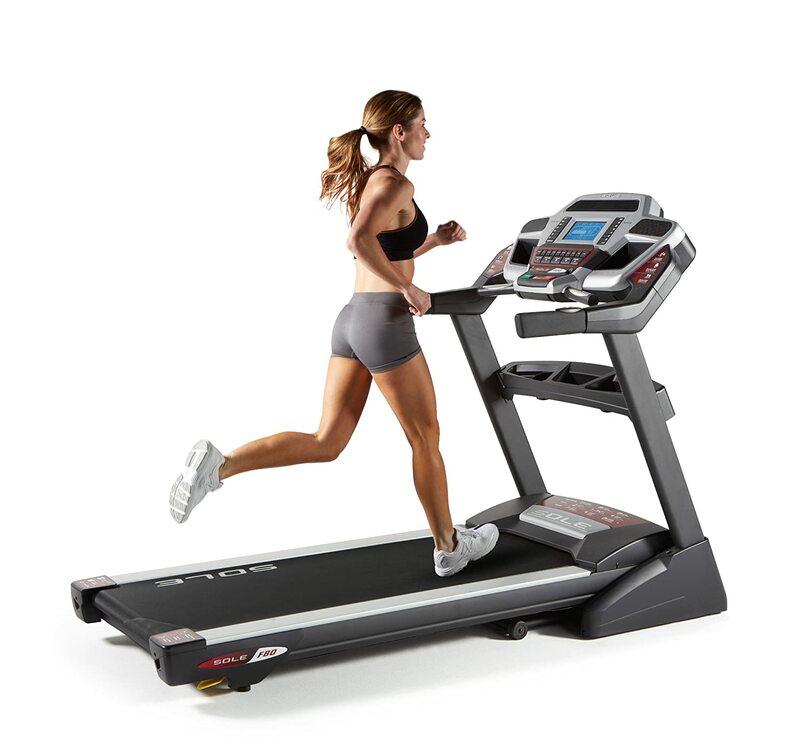 This treadmill features a 2.5 continuous-duty horsepower motor that can reach up to 11mph. It has a carrying capacity of 300 lbs. and a very spacious deck size of 56 x 20 inches. People with limited space might find this useful as it can also be folded. It features an LCD console with 21 exercise programs to help you stay motivated, a heart rate and step counting monitor so you could track your progress, and 15 automatic incline levels to choose from. The LifeSpan TR200i showcases six compression shock absorbers to protect your knees and joints, and a safety feature which automatically pauses the treadmill 20 seconds after you stepped away. It also provides lifetime warranty for both frame and motor. The Bowflex TreadClimber is not your traditional treadmill. It is a combination of treadmill, stair climber, and elliptical. We have included it in this list for those who want a more challenging workout. It features a strong motor with 2.5 CHP and a 300-lbs. weight capacity. However, it only has a 4mph maximum speed, which is a let-down considering that it has a powerful motor. Other features include an LCD screen with a coach console for those who need that extra push. It is not foldable but it does have wheels so you could move it around easily. It includes a two-year warranty. 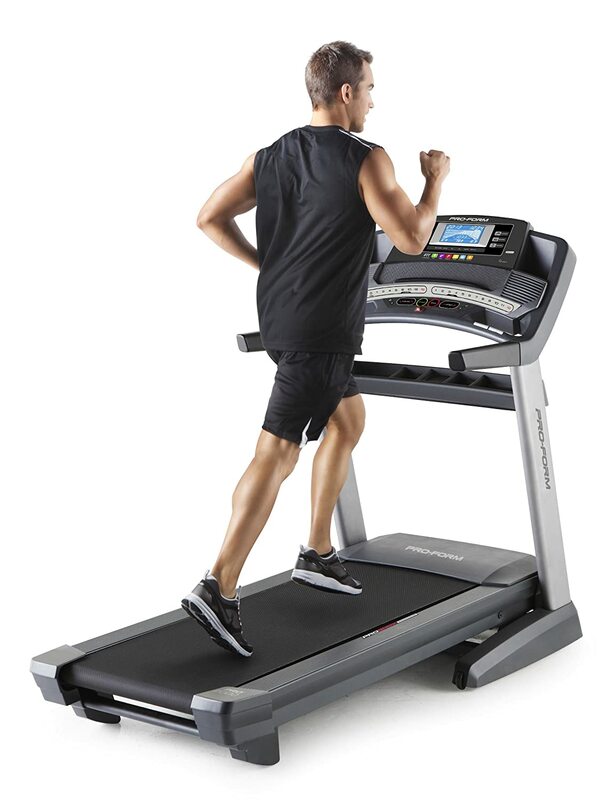 This treadmill is a bit pricey but it has a heavy-duty motor and carries several unique features. With a 3.5 CHP, it can reach up to 12mph with a maximum weight limit of 300 lbs. Its deck measures 60 x 22 inches so it’s really built for large people. The ProForm Pro 2000 boasts a 7-inch backlit LCD display which allows you to monitor your workout easily. It’s also compatible with most devices. You will understand why this treadmill is expensive when you see its 2 built-in speakers, 18 exercise programs, workout fan, EKG grip pulse, and a wireless chest strap to monitor heart rate. Aside from that, it also features an exclusive ProShox Cushioning system and an EasyLift Assist for convenient folding. This treadmill also provides a sizeable guarantee: a lifetime warranty for the frame and motor, 5 years for the parts, and 2 years for labor. The Sole Fitness F80 is considered as a top-of-the-line treadmill. With a solid motor power of 3.5 CHP, you can reach up to 12mph on its 60 x 22 inches deck. It has a 15% incline and a two-ply tread belt, which means it’s thick and can endure for a long time. It has a weight capacity of 375 lbs. and offers numerous features such as a pulse grip and chest strap heart monitor, 10 workout presets, a cooling fan, and a 7.5-inch LCD monitor. It is also MP3-compatible. Like most high-end treadmills, it is expensive but it offers a lifetime warranty for the frame, motor, and deck, 5 years for the electronics, and 2 years for labor. Before you choose a treadmill, here is some important information that you have to consider before placing an order. Motorized treadmills can be heavy. They can sometimes weigh more than 300 lbs. If you are hesitant of assembling a machine of that size, you might want to consider services that deliver and set up the machine for you. If you don’t want to pay extra, make sure that you have someone to assist you. A powerful treadmill should have at least 2 continuous-duty horsepower. For larger users, a more powerful motor might be required as heavier weights put more strain on the machine. Look for a thick tread belt that could withstand your weight for a long time. Some treadmills feature special cushioning systems to lessen the impact which could help reduce joint pains. Now that you have made sure that your weight falls within the treadmill’s limit, make sure that the deck is also large enough for you to fit in comfortably. For tall runners, look for decks 50 inches long and at least 18 inches wide. If you have average height, a 45 x 16 inches deck would do. To prevent accidents, some treadmills have built-in safety precautions such as belts and auto-pause. You might want to check for those features especially if you have small children in the house. Most buyers usually overlook this essential feature. Like other equipment, treadmills require maintenance and replacement of certain parts at some point. 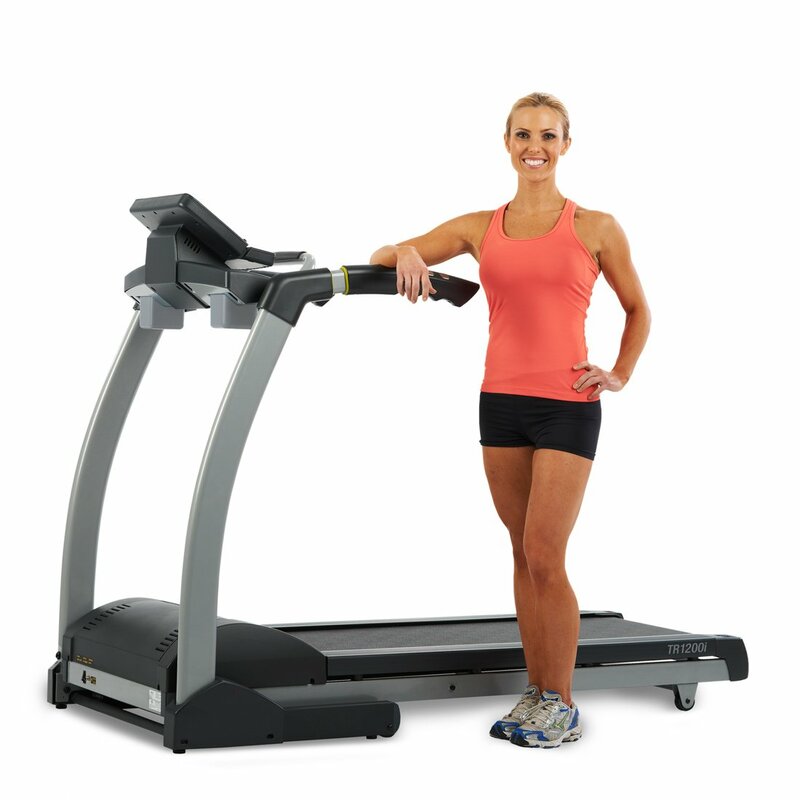 Bargain treadmills normally have shorter warranties and may only cover some parts while high-end ones usually offer lifetime warranties for the frame and motor. A higher weight capacity means you have to pay extra. 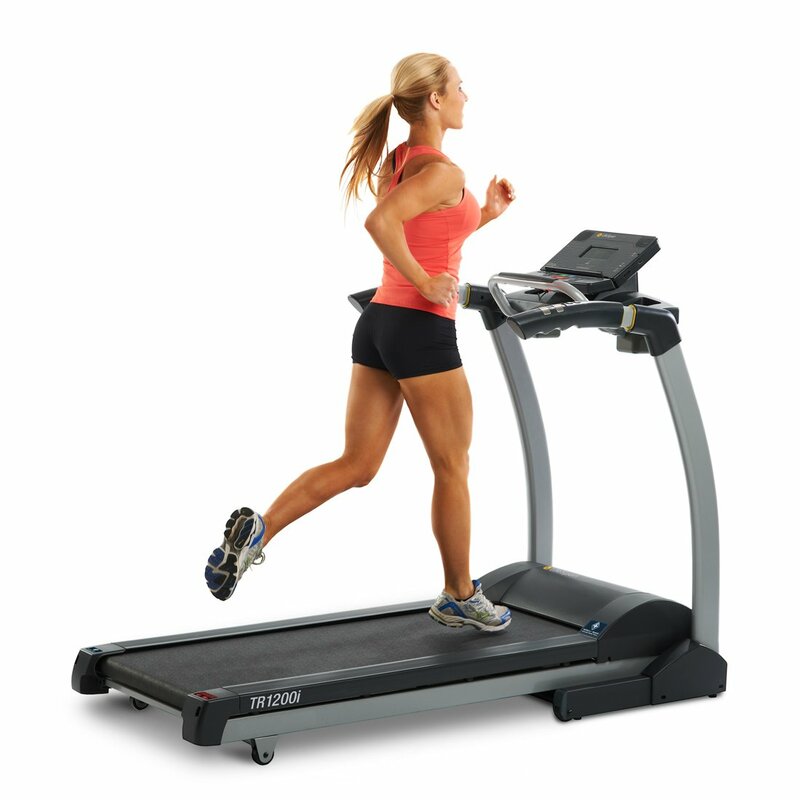 You can find good quality heavy-duty treadmills between $1000 and $1,500. Treadmills over $2000 are already considered top-of-the-line. They usually carry more extra features and lifetime warranties, which is a big plus. You can also find decent treadmills under $1000. They may not have the whistles and bells of expensive treadmills but they carry the basic features. Just be wary of super cheap ones as they commonly have thinner tread belts and shorter warranties. Low-cost treadmills also tend to require more maintenance but if you don’t mind oiling your treadmill every month or so, then these types of treadmills might work for you. Just remember that for these kinds of purchases, what you pay is what you get. While each treadmill on this list has their own advantages, our most favorite is the LifeSpan TR1200i Folding Treadmill. Each of the treadmills included here have almost similar characteristics, but the LifeSpan TR1200i offers the most bang for your buck. Considering that it’s only under $1000, it has a relatively powerful motor with a spacious deck, a decent speed limit, shock absorbing-belt, automatic safety feature, and other quite useful frills. It’s also easy to set-up and has a lifetime warranty, which is unusual for its price range. Overall, the LifeSpan TR1200i is the best treadmill for heavy people.